Shuttle bus service for large events, conventions and trade shows. Smooth executive transportation services that you can trust. We are everything you need in a transportation company. We’ll get you where you need to be. We take care of transportation needs across the United States and Canada. With detailed preparation, coordination and smooth execution, we provide a reliable and positive shuttle experience. We handle all transportation needs including deluxe motor coaches, minibuses, town cars, and SUVs. If you are looking for a limo service for VIP, special guests, or exhibit staff, we’ll help find the best solution for you. We have a number of vehicle sponsorship options available, including exterior and interior graphics, headrest covers, and more. Whether you want to promote the event or have exhibitors highlight their products, we can make it happen. In large convention centers, there is a lot of ground to cover. Our golf cart shuttle service provides an easy and safe way for your attendees to move around inside or outside the exhibit hall and get where they need to be. 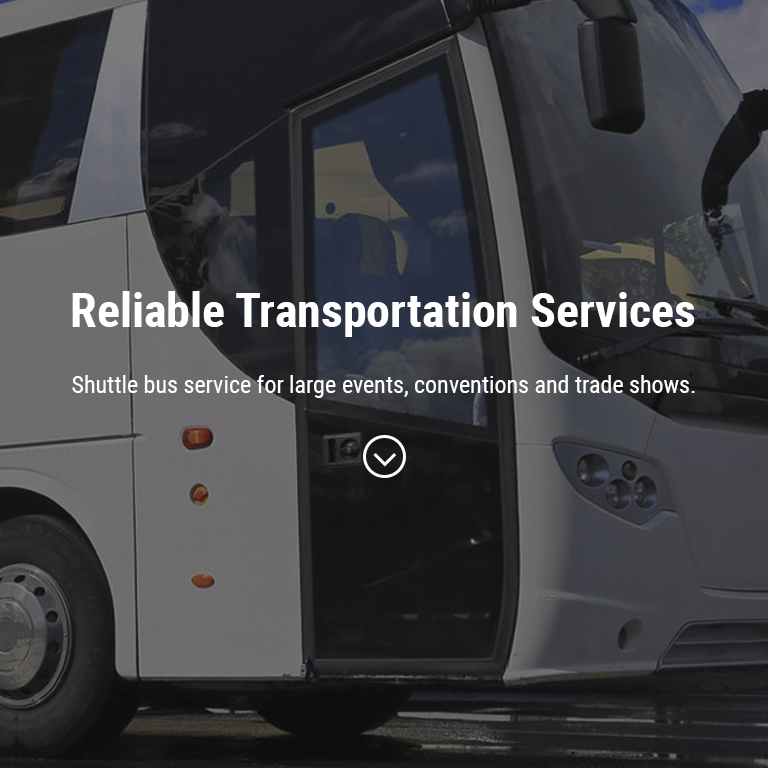 We are proud to provide the finest shuttle service for numerous conventions, tradeshows and corporate meetings throughout the United States and Canada. Since 1982 we have continued gaining experience and knowledge, so that we can offer unparalleled transportation services and destination management. Coordinating transportation for a large event takes an experienced team with an understanding of the event industry. Our highly specialized team provides excellent planning and execution for a smooth transportation experience.